Guaranteed to provoke smiles, giggles and guffaws. Bang is filled with bright colours, quirky details, car prangs, and animal mix-ups. It’s a big, happy accident! Facing pages show one animal-driven vehicle on the verge of colliding with another… The surprise-strewn art culminates in a glorious collision with – what else? – a paint truck. Leo Timmers’ BANG contains only one word, but young readers will be scrutinising every page for the hilarious details of cause and effect… The results are colourful, imaginative and funny, concluding with a spectacular double-page pullout that provides a happy ending for everyone except the fish. Oh my. What a ride. This almost wordless book is a truly hilarious, spurt-your-coffee tale; one of those books where you see a page and you laugh BEFORE you’ve turned over to the next page because you just KNOW what’s going to happen… A brilliant picture book, for kids aged 2 to 200. 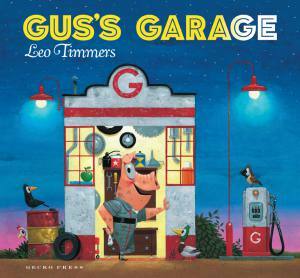 One of those cumulative tales that calls on all the predictive powers the preschooler… Leo Timmers gives his larger-than-life characters a rotundity that has them virtually rolling off the page. A guaranteed crowd-pleaser … Timmers’ illustrations are full of funny details that readers will enjoy poring over. The story goes on in a hilarious repetitious form that features lots of animal driven-cars crashing into each other. There also some near misses, but will these cars escape an accident? The younger reader will want to turn the page to find out. This wonderfully expressive story is all the more impressive for the fact that there’s only one word of text: ‘bang’. Leo Timmers shows off his skill with brightly painted, highly detailed and humorous illustrations. Each ‘BANG’ scene uses the background color of the crashing vehicle and brings more hilarity and opportunity for conversations about colors, names of animals, and predictions. Single-word repetition and a final brake-squealing ‘eeeeeee’ near the end will encourage audience participation. 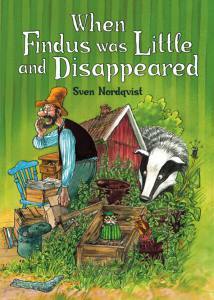 A visual pandemonium awaits the young reader in this wonderfully quirky picture book. Leo Timmers’ Bang will have young audiences laughing out loud… guaranteed to provoke smiles, giggles and guffaws. It’s good, messy fun… Bang! indeed. As the pile-up grows these cargoes move around from car to car causing lots of amusement for children as they notice the strange mix-ups. The final double page pullout is a riot of colour containing many wordless stories just waiting to be told. Watching vehicles bash into one another is a perennial rib-tickler for kids, and Timmers exploits this with a marvellously loony series of fender benders… Timmers never skimps, painting with devoted attention every automotive detail and gleam in every chicken’s eye, and providing a plausible cause for every new accident. Bang features a gloriously illustrated cast of distracted drivers and their colourful cargo all heading for one big pile-up of hilarity and fun… A delightfully quirky picture book from the creator of the hilarious Who’s Driving. Sure to have [children] in fits of laughter. 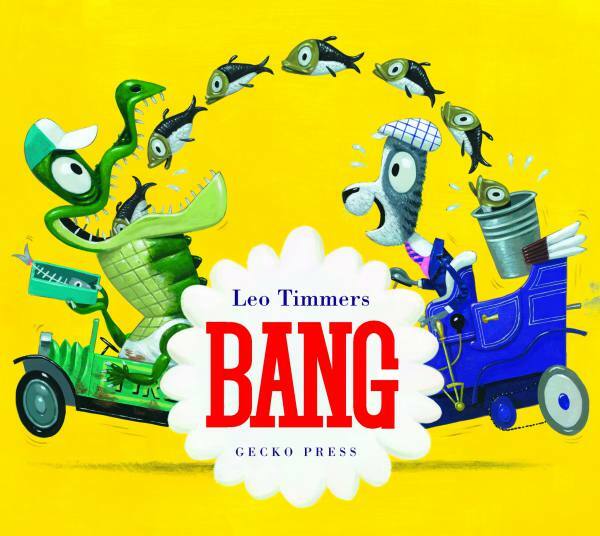 Bang by Leo Timmers is a bright and colourful book with all sorts of vehicles and animals splattered over the pages… This is sure to end up a bedside favourite. Engaging and colourful, children will love this and the visual approach means pre-schoolers can enjoy the story for themselves. With this book being nearly wordless, it is the quality of the illustration that will make or break the book. In this case it definitely makes it. The pictures are very bright and colourful with plenty of expression. Each picture is more comical than the last and the pictures completely draw the reader into the events… My four year old is well pleased to be able to read this to me. Bang is most definitely a brilliant, bonkers book… the joy of reading and listening to this book is satisfying and many-layered. 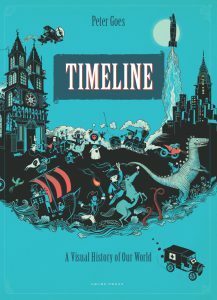 An extraordinary book; it is original, clever, funny, and expertly illustrated. Leo Timmers’ illustrations have a beautiful painterly quality and are enormously detailed. Quirky characters and vintage-style elements add charm, while humour is carried throughout the story and subtly in the details. This picture book for pre-schoolers presents something unusual, a big, happy accident. With minimal words, it is still guaranteed to make preschoolers giggle thanks to its delightful illustrations, car prangs and animal mix-ups. I absolutely love this book! … Bang is a picture book that adults will love just as much as children and you’ll want to read it again and again.